“Heaven” is dedicated to Hatsumi Sensei’s Dojo Giga paintings — these are the colorful paintings Sensei began creating about thirty years ago to record and communicate the traditions of his dojo. See Hatsumi Sensei’s arts from a new perspective. Within the paintings of “Heaven,” Shinto and Buddhist deities and legendary heroes offer clues about the origins of the Bujinkan Dojo and insights into Hatsumi Sensei’s teachings. “Heaven” includes a blank shikishi mounted to the inside cover. Use this to request Sensei’s signature at the dojo. Our hardcover edition comes in this folding case. The front cover and spine are stamped with gold foil and the title on the spine is in Sensei’s handwriting. 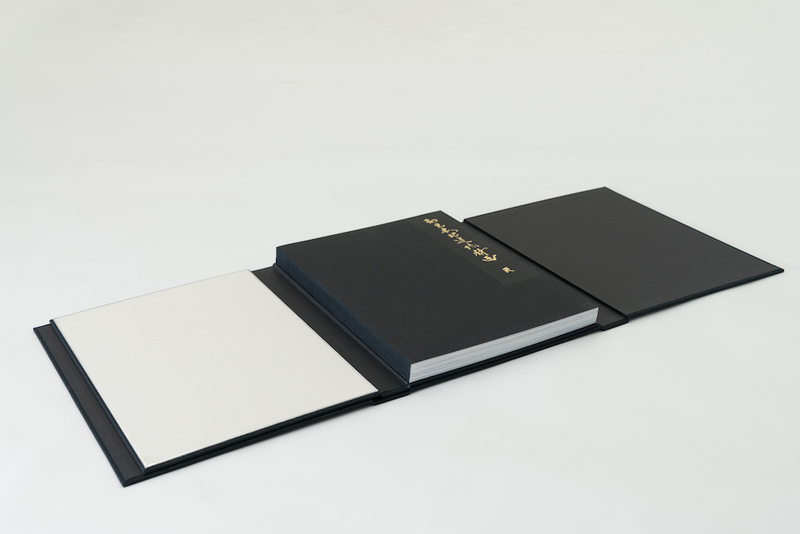 Our books have a blank shikishi mounted to the inside cover. Washi for our shikishi was from a maker recognized by UNESCO for their traditional Japanese paper making methods. Use this to request Sensei’s signature at the dojo. We printed our 224 page book in full color plus metallic gold. 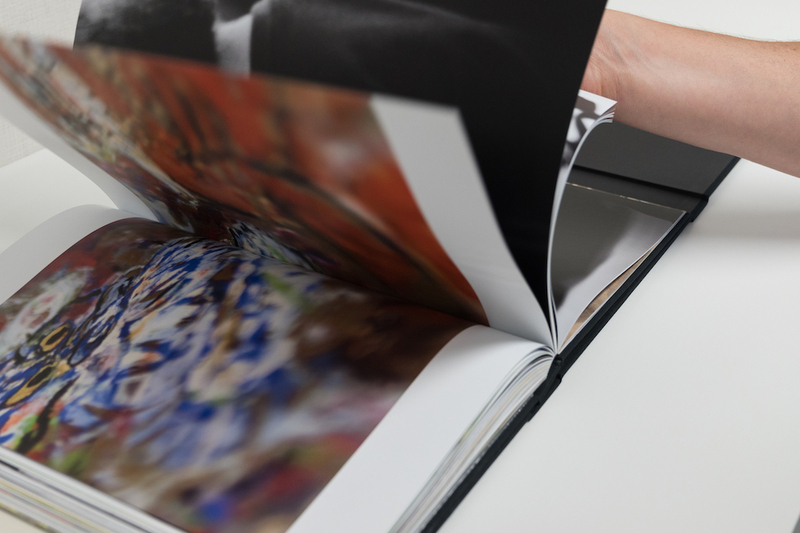 We chose swiss binding and a smyth sewn book block so pages open fully — clearly showing Sensei’s paintings and our action photos. Get your book delivered or buy your book in Japan. Will you train with Hatsumi Sensei in 2019? Reserve your book at dojoartbooks.com and then pick it up at Ishido Gazai in Kashiwa City (Chiba Prefecture). 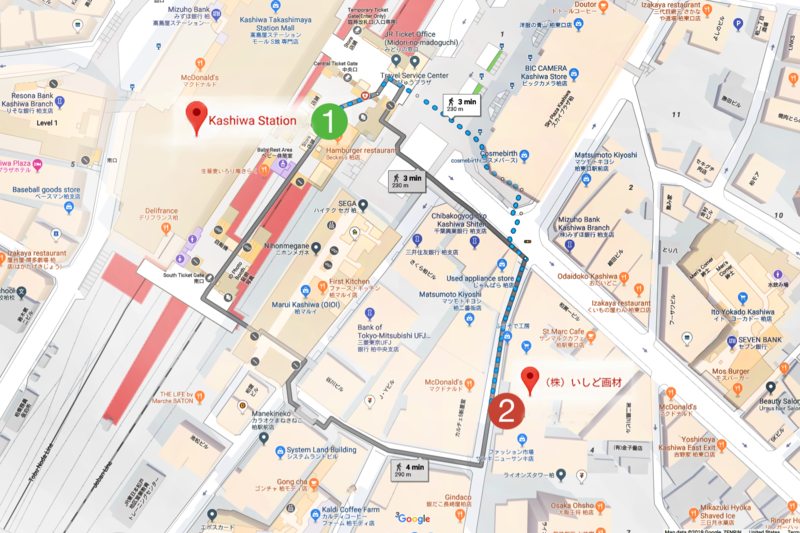 By reserving, you know your book will be waiting for you in Japan, and you’ll save about 5,000 yen. It’s great Ishido Gazai in Kashiwa offers our books. 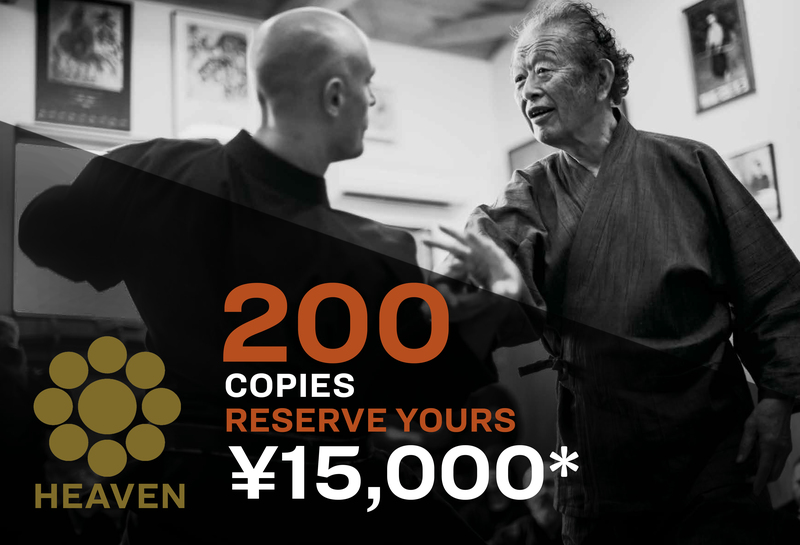 This makes it easy for us to buy in Japan and request Sensei’s signature at the dojo (and the first 200 books are available for about 5,000 yen off)! We’ll email you a receipt which includes your name and order number. Take your receipt to Ishido in Kashiwa City (they’ll be expecting you and they’ll reserve a book for you). Ishido will offer you the discounted price of just 14,000 yen for your book. (Including your $10 reservation, this is approximately 5,000 yen off the normal 20,000 yen price.) Note: Each $10 reservation is valid for just one book and must be used within 2019. Request Sensei’s signature at the dojo! Get yours in Kashiwa for about 5,000 yen off. We’ll deliver for $30 (US / Canada only). We celebrated the publication of “Heaven” with Hatsumi Sensei on October 4th, 2018 at the FCCJ in Tokyo. At the celebration we showed this video. About 30 years ago Hatsumi Sensei made a series of colorful paintings to record and transmit the traditions of his dojo. He calls these paintings his “Dojo Giga” collection. Recently Sensei decided the timing was right to share these paintings with the world so we published “Masaaki Hatsumi: Dojo Giga | Heaven.” Our book’s theme is martial virtue and the painting subjects include Shinto and Buddhist deities, myths, and legendary heroes. Art that commemorates the history of Hatsumi Sensei’s dojo is also included. Most importantly, “Heaven” recognizes the influence of his sensei, Toshitsugu Takamatsu. Our book combines award-winning design, professional photography, and detailed craftsmanship to give Sensei’s “Dojo Giga” paintings the spotlight they deserve. “Heaven” includes an essay and comments by the artist that put the paintings in context, action photos shot at the dojo illustrate the close connection between the paintings and the artist’s physical training, and the book’s appendix provides supporting information. Our book is in Japanese with English translations. We hope “Heaven” gives you new insights into Hatsumi Sensei’s paintings and inspires your understanding of budo.